Reality is an increasingly difficult subject to broach in the contemporary age. What is reality exactly and is there an objective reality by which we can anchor all of our experiences? With digital artifice inundating us constantly, it is easy to begin questioning whether there really is a truly objective reality, or if everything we experience is rather just a simulation. Some muse that we are living in a simulated reality – like Sims – in a perpetual computer-generated reality, others believe through our hyper-mediated world that we now perceive the digital realm as our baseline reality. Such has traditionally been the fodder for the musings of philosophers and quantum physicists, but the implications of these theories increasingly have valid real-world relevance. In the age of social media, where one spends countless hours engrossed in the digital realm, we have come to experience the world through digital rather than physical means, and thus the digital realm has become our reality. Enter, the theory of the simulacrum. As a post-modern philosophical theory, the “Simulacrum” has gained credibility as an influential understanding of reality in the contemporary age. In its current definition theorized by Jean Baudrillard “simulacrum” refers to that which retains merely only the form of the thing it seeks to represent. As a concept, the simulacrum is highly relevant in our digital era of artifice and imitation. With our senses becoming increasingly attuned to digital media, we are now living in a world of representations, where we come to experience and understand things through their digital representations first rather than through physical observation. As a case study of the simulacra, Instagram is a perfect example. Take Miquela Sousa, AKA @lilmiquela for example. A fashion influencer on Instagram that has amassed just short of 1 million followers since appearing on the platform in 2016. Sousa has garnered the attention of the fashion community with her effortlessly chic sensibility and refined take on athleisure; Miquela imbues the millennial that everyone wants to be. She dines with celebrities, attends industry galas and events, champions political causes, (she is a staunch supporter of trans rights and gun control), and is quickly becoming a style icon in her own right. However, upon closer inspection, one realizes that Miquela is not the LA socialite she pretends to be on the platform… in fact, she’s not even a real a person at all. 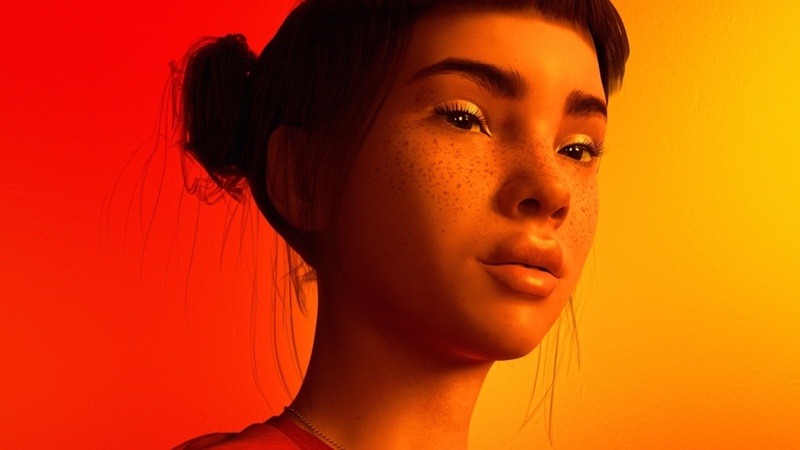 Rather, Miquela is none other than the ingenuity of an anonymous graphic designer who expertly stitches her likeness into real-world places and events; a digital, computer-generated social media star. Her Instagram has become the subject of endless speculation, think pieces and most recently even ad campaigns. She effectively blurs the lines between reality and fiction and has taken on contemporary status as a simulacrum. 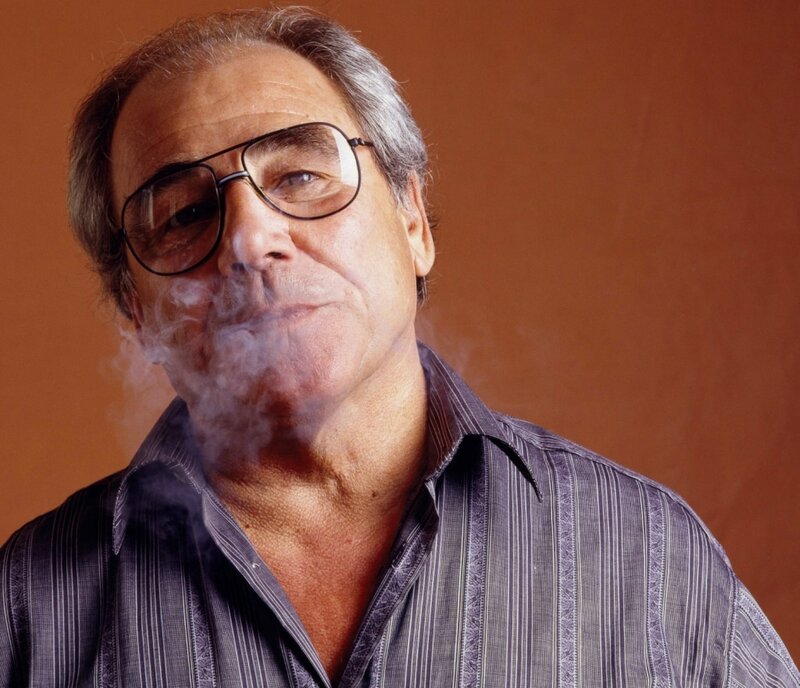 In order to illustrate the concept of the simulacra, Baudrillard gives the example of Disneyland as being a perfect example. Disneyland’s explicit presentation of itself as imaginary implies that the outer world is, in fact, real. This fabricated dichotomy of real and fake disguises the truth that society is, in itself just as false and fabricated as Disneyland is. In the same vein, Miquela in her presentation as a “fake” Instagram celebrity, implies a dichotomy of real and fake which disguises the truth that the rest of Instagram is just as false and fabricated as she is. This is the genius of Miquela as a quasi-psychological experiment. She unearths society’s subconscious belief that social media represents reality, and thus is reality. If the definition of “simulacrum” is something which retains only the form of the thing it seeks to represent, Miquela fits the bill quite well. She seeks to represent and imitate Instagram personas as if they were ever “real” to begin with. She merely retains the form of a human, but her concocted persona isn’t necessarily portraying that of a human, but rather the representation of a human. She is an imitation of an imitation. Britney Spears’ newly launched campaign for Kenzo, is an interesting counterpoint by which to compare Miquela, and make sense of the dichotomy between reality and fiction in the digital realm. The campaign portrays a Britney so digitally altered that she has been rendered almost unrecognizable. This “Britney Spears” as she is presented in the campaign does not “exist” in the real world per se, and in a sense, the way in which she is presented is not supposed to represent the real Britney. Instead, it represents the idea or the persona. The real Britney in the tangible world has wrinkles, age spots, and stretch marks, as one would expect any 36-year-old mother of two to have. In the campaign, however, she is presented as the perfected pop star, a character concocted by the media, who lives in a hypothetical digital realm. One would assume that because Britney is a tangible person in the real world that she is much more real than Miquela, however, the way that Britney is presented in this campaign on social media points to the reality that Instagram is a breeding ground for artifice, Miquela is just more explicit about it. Meticulously crafted and staged photos, perfect angles, strategic lighting and airbrushing all contribute to concocted falsified digital avatars that exist everywhere and present us with a digital hyperreality which exists in and of itself, devoid of context in the real world. The Britney presented by Kenzo, and the vast majority of social media influencers on Instagram are in essence just as false and fabricated as Miquela is. They are illusions, hypothetical and fictional digital avatars whose cinched waists and airbrushed skin exist only in the digital realm. Every day we are inundated with images in the media that are just as false as the ones Miquela presents, and thus we are living in a society filled to the brim with simulacra. Therein lies the fascination with Miquela, the CGI wunderkind. She exists in conversation with the inherent artifice of social media and digital life and offers us a rare moment of objectivity as a sort of mimetic representation of ourselves; holding up a mirror to our concept of reality which makes us question everything we know to be true. As a simulacrum, Miquela serves to uncover the subconscious belief that society perceives social media as reality. Upon closer inspection, one realizes Miquela is not an anomaly on Instagram, she is rather just a heightened version of the norm, she is the artifice of social media personified. A reminder of the multitude of simulacra that we engage with on a daily basis. If Miquela can be so convincingly portrayed as a real person, how much of what I perceive around me to be reality, is in fact, just an illusion? In truth, simulacra are everywhere… you just have to keep your eyes peeled.